Would you like to make cards magically rise, jump, and appear instantly? How about with only one gimmick? Zinger allows you to do the impossible. The effects look like pure magic, and are incredibly visual! 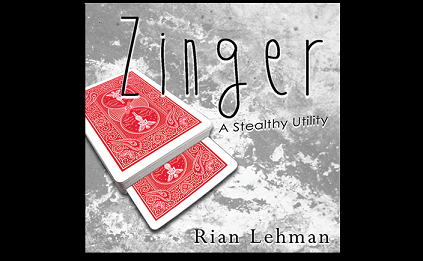 Zinger is a stealthy utility gimmick that can be made in minutes. Learn how to make this gimmick with great detail. Customize your own gimmicks in minutes! Using Zinger, your spectators will swear they've seen real magic!